The Monastery of Jesus in Setúbal, concluded in 1494, is one of the first examples of the Manueline or Portuguese Late Gothic style, which skilfully incorporates maritime elements and representations brought from the pioneer voyages of the Portuguese discoverers. Better known – and better preserved – examples of the Manueline architectural style include the Monastery of Jerónimos and the Tower of Belém in Lisbon. Recognised as a symbol of Europe’s history – the setting for the ratification of the signature of the Treaty of Tordesillas in 1494 between Spain and Portugal, which paved the way for Europe’s expansion both to the Americas and to the Far East – the monument was attributed the “European Heritage Label” by the European Commission in 2011. Despite its outstanding importance, this gem of our common heritage has been closed to the public for more than 20 years and is in an advanced state of decay, which urgently calls for European support and solidarity. Some currently ongoing restoration works are too limited to lastingly save this prime monument, including its remarkable columns and tiles. The complete restoration of this ensemble would act as a catalyst for a true renaissance of the important but neglected historic city of Setúbal. 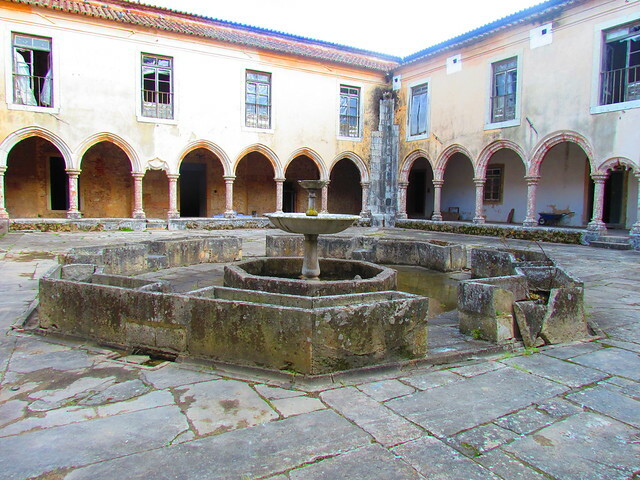 The Monastery and Church of Jesus was nominated for ‘The 7 Most Endangered’ by the Portuguese Historical Houses Association (Associação Portuguesa das Casas Antigas.